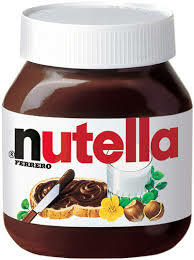 Today is World Nutella Day. Nutella is a hazelnut-chocolate spread with the consistency of smooth peanut butter. FYI: Nutella has no artificial colors or preservatives. I think of nutella as goodness in a jar! Nutella is more than just a “chocolaty hazelnut spread,” it is a way of life. Want to know more about Nutella and today's celebration? Check out these links! 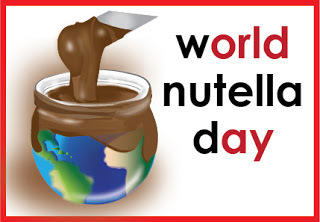 World Nutella Day Fan Page on Facebook! Twitter stream @nutelladay for updates UseTwitter hashtag #nutelladay to participate! Did you know that Costco now sells a 6.6 pound Nutella tub? That's a lot of Nutella. And, it's only $22. I'm a fan of Cost Plus World Market, so I signed up for their emails. A few years ago, this recipe popped up in my inbox for Easy Anytime Nutella Cookies from Chef Katie Chin of the Sweet and Sour Chonicles for World Market. As I've mentioned, exciting and delicious recipes are everywhere! You just have to find them.